Take a moment and think of five people who've made a significant impact on your life. Chances are, at least one of them was a teacher. A great teacher is important to students, parents, schools, communities, and the common good, and earning an education degree puts you in a world where what you do truly makes a difference every day. 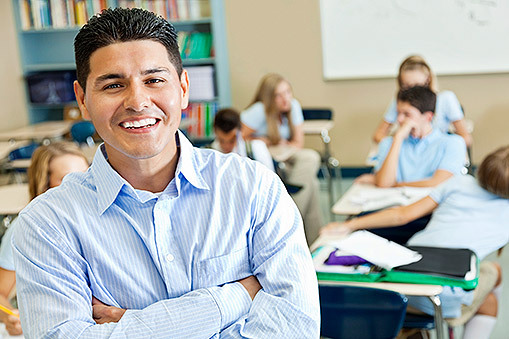 Whether becoming a teacher is your first career or your second act, with StraighterLine's help, you can get there faster—and for far less money. Believe it or not, education is in the top 10 majors by earnings, with the U.S. Bureau of Labor Statistics reporting that the median pay is $43,000 a year, with administrators averaging $75,000 or more. It’s also one of the most stable fields there is, ranking second for the lowest unemployment rates at 5.4% for recent grads and 3.9% for experienced workers, which is well below the national averages—and nearly every other profession. Projected job growth is above average, too, at 10-28%, depending on the segment. A degree in education is a gateway to many other careers besides teaching, and even within teaching, there are a lot of options. The highest-paying positions in the field are administrative and include school principals at every level, followed by school counselors. At the college level, some professors reach "rock star" levels in terms of status, and college professors and administrators have become ambassadors, cabinet officials—even presidents. Education careers and online learning just make sense. In fact, much of the driving force behind the creation of online courses comes from teachers themselves, who see them as a way to reach far more students than they could through traditional classes. Online courses also represent a new revenue stream for teachers: One elementary school teacher even became a millionaire distributing her lesson plans and courses online to other teachers. Online teacher education programs now dwarf even the largest state university teacher programs. According to the U.S. Dept. of Education, while traditional schools still award the majority of bachelor’s degrees in teaching, online schools awarded more master's degrees in teaching. Among the online teaching program leaders, six StraighterLine partner schools are in the top 20: the University of Phoenix (#1), Western Governors University (#8), Ashford University (#12), Concordia University-Chicago (#15), Liberty University Online (#17), and Capella University (#19). All states require public kindergarten, elementary, and high school teachers to have at least a bachelor’s degree in elementary education. Most states also require teachers to major in a content area, such as math or science. Some states even require teachers to earn a master’s degree after receiving their teaching certification, so many teachers augment their existing bachelor’s degree by pursuing their master’s in education online while continuing to work. Other jobs in the industry require similar—or even greater—levels of educational achievement. What does that mean for you? If you want to pursue a degree in education, you'll need to take a broad range of required, general-education courses before you take your teaching classes. And since StraighterLine course credits transfer to any of our partner colleges or through the ACE CREDIT service to over 1,800 colleges and universities in the United States, why not save yourself valuable time and money and take them from us?